Moving lots of data to the cloud can take a long time and cost quite a bit, even over fast connections. Like its competitors — and especially AWS — Microsoft has long allowed its Azure users to import data to its cloud by shipping hard drives to its data centers. 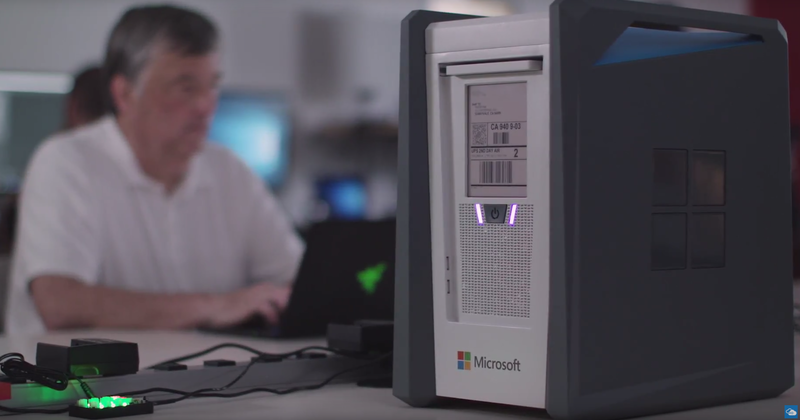 It’s now going a step further with the preview launch of the 100 TB Azure Data Box, its answer to AWS’s 50 and 80 TB Snowball boxes. Users order the box from the Azure portal, load it up with their data and then ship it to Microsoft for ingestion into the Azure cloud. Like the AWS Snowball, the Data Box also features a e-paper display that functions as the shipping label. The box plugs right into the data center network and supports standard protocol like SMB and CIFS. Data on the box itself is secured with a 256 bit AES encryption. Micrososft also tested the box with the help of Oceaneering International, a company that, among other things, offers ROV-based subsea inspection services for the oil industry. Those robots can easily create multiple terabytes of data per day but aren’t always connected to the internet. In Oceaneering International’s use case, the company stores its data on the Data Box, upload the data to Azure and then prepare it for its own customers.